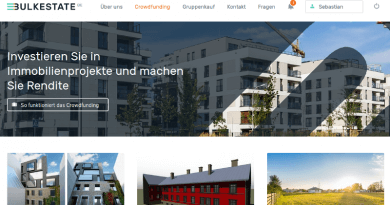 Nach meinem durchweg positiven Eindruck von EstateGuru und Zinsland, bin ich nun auch bei Bulkestate (zum Immobilien Anbieter *) als Immobilieninvestor eingestiegen. Hier habe ich 50 Euro in das Midia Grand Resort investiert. 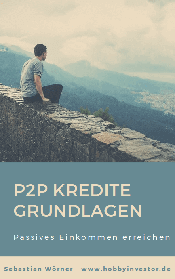 Natürlich möchte ich auch Bulkestate mit in meinen P2P Kredite Vergleich mit aufnehmen, der nun immer mehr auch zum Crowdlending Vergleich werden wird. Aber genug der Worte. Meine Fragen hat mir der CEO von Bulkestate Igors Puntuss beantwortet. Wer ist Bulkestate? Das Interview mit Igors Puntuss! What is Bulkestate? Who are the founders? Can you introduce yourself and the company? When did Bulkestate go live? 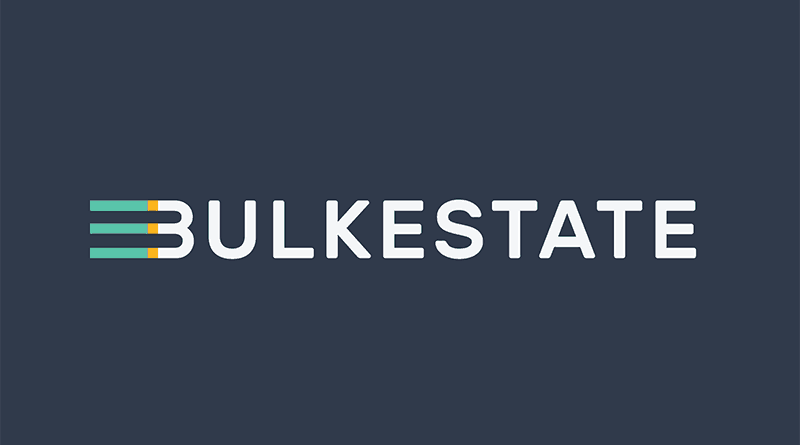 Bulkestate is a web-based real estate market place with a focus on closing the gap between sellers, who are looking to sell entire building in one transaction and buyers, who are interested in parts (for example, one apartment) of the building, but not willing or capable to invest in entire property. Bulkestate enables collection of buyers’ interest to gather target amount sought by the seller and thus enables transaction to be executed. In parallel, we offer an opportunity to invest in these or other real estate projects as we have significant experience in realisation of similar projects and we have a clear view on the type of real estate, where good returns on investment can be achieved with relatively low risk. 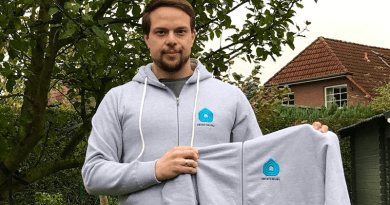 The Company was founded by two Latvian entrepreneurs with broad experience in real estate – Zans Launags and Igors Puntuss – who saw significant potential in this area and launched the platform on December 2016. How many projects have already been offered? What is the current trading volume of the loans? In a sense, we are still in testing stage for the platform and we do not rush to build large portfolio of real estate loans. At present, we have financed six projects and currently have an open investment opportunity for another one, located in Bulgaria. You offer real estate projects from Latvia. Currently there are very few projects in the portfolio. Will you improve the offer? Are other countries planned? We are looking at other markets as well. As mentioned before, currently we have a project in Bulgaria. Our main focus is group buying projects as we see the best opportunity in this area. Currently we are working on a number of larger scale group buying projects based on Latvia, where part of the property will be available for investment in re-development projects. Can anyone come to you with his real estate project? How do you make the selection? What are your decision-making criteria? How do you check the quality of the projects? We talk to everyone, who is interested in cooperation. However, we have clear and strict criteria for the approval of projects we are willing to offer to our investors. Primarily we assess the saleability of properties and security of exit options upon completion of the project. EstateGuru also offers real estate projects from Latvia. 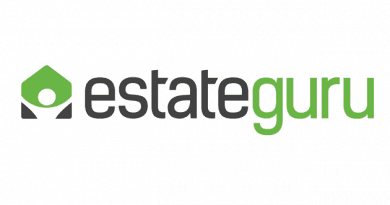 With EstateGuru, however, only 10% -11% of the yield is offered. How do you manage to offer up to 15% return on investment? Our experience and network in Latvian real estate community provides access to a number of projects with very attractive purchase prices, which allows financing them with high interest rates on our loans and still allowing project owners to make decent profits. We do see, however, that interest rates will decrease on our loans as well as the flow of this type of projects is decreasing. The real estate projects are secured with a mortgage and have an LTV. What rank does the mortgage have and do you have a maximum LTV value that you allow? So far, in all cases loans we had first rank mortgage. Our general policy is to finance loans where LTV is 70% or less. Going forwards, we are considering possibility to finance projects with second rank mortgage after bank’s loan. But we are very careful here and so far did not engaged in this type of transactions. An investor must invest at least 50 euros. Is there a maximum? So far, we were did not encounter issues associated with large size of investment, therefore there are no maximum limits. Are there investor fees for us? All our services are free for the investors and we plan to keep it this way. Services are paid by the project or property owners who are looking to raise funds or sell their properties. What happens if a project does not find enough investors? That means, I do not get interests? Only when the project is fully founded and starts? Yes, if the project does not gather sufficient interest, transaction is cancelled, and all funds are returned to investors. In cases, where project owners manage to realise and sell their properties before the initial deadline, interest is paid for the period, when loan was actually used. Do all real estate projects have a final payment? All projects involve requirement for full repayment of the loan and accrued interest. Has a project already been delayed or even failed? Luckily, we have not encountered any defaults. But we have experience working in different economic environment, including downturns and therefore understand that situations will likely appear at some point. Therefore, we prefer to be careful in our selection of projects to fund. What are the procedures when a project fails? Procedures will depend on situation. If there will be problems to repay the loan, we will work very closely with the debtor to understand the situation and find the best option for all stakeholders. In most cases, we will aim to achieve a negotiation solution and avoid direct take-over of properties, but this will be done if necessary. We believe that our selection process and policy to keep maximum LTV at 70% provides strong security and buffer for different scenarios. In addition to real estate projects, group projects are also offered. What is the difference between the two types? Group buying as the name implies is acquisition of, let’s say an apartment, in a deal, where a whole apartment building is sold to a group of buyers, who together acquire entire property. In many cases price for buying entire building rather than a separate apartment is cheaper and we believe that this opportunity will be interesting to many people interested to buy quality real estate at attractive prices. We believe that our service will benefit both sides in these transactions as sellers often struggle to find buyers at a price, which would be interesting for them (because buyers, if those are financial investors will seek to get good return on their investment and will push down the price), while people, who are interested in separate apartments can get into this type of deals. Why do you offer these group projects? As we said, group buying is actually our main focus. However, these take more time and effort to structure and prepare for the marketing process, therefore we started to test our platform with smaller and more simple investment projects. In future we aim to use lending service more as an opportunity to participate in group buying deals, where part of the property will be acquired for investment purposes and re-sold within one or two years. What are the securities for the group projects? What protection do I have as an investor? As group buying is direct acquisition of property, securities are not really relevant. All buyers receive legal titles on their new property upon closing of the transaction. At the moment we are working hard to finalise structuring of 1 or 2 group buying projects and launch them on our platform. We are really excited to see how this will work. This is our main objective for the next 3-6 months. We will think about further plans after completion of these transactions. Ich bin alleine von der Bulkestate Website ganz angetan. Schick, schnell, übersichtlich und komplett auf Deutsch übersetzt. Auch die komplette Beschreibung der Projekte ist auf Deutsch. Das fand ich echt überraschend. Hier kann sich EstateGuru eine kleine Scheibe abschneiden. Im Interview hat es Igor Puntuss bereits angesprochen, es wird ein langsames Vorgehen angestrebt. Das bedeutet, mit vielen Projekten ist bei Bulkestate nicht zu rechnen. Ist das schlimm? Nein, überhaupt nicht. Anders als bei EstateGuru gibt bei Bulkestate keine Möglichkeit sein Geld „vorab“ auf sein Dashboard zu überweisen. Man überweist erst Geld, wenn es wirklich ein Projekt gibt, das einen interessiert. Von daher ist es erst einmal nebensächlich, wie viele Projekt angeboten werden. Wenn du Interesse hast, einfach registrieren (am besten über meinen Link: zum Immobilien Anbieter * und die E-Mails beobachten. Über alle neuen Projekte wird man per Mail informiert. Wer mehr über Bulkestate erfahren möchte, findet auf dem Blog von Lars eine ausführliche Vorstellung. Ich habe letzte Woche eine Express Video veröffentlicht – Mintos in 5 Minuten für Leute, die keine Zeit haben ;-). Wenn Interesse besteht, dann wird mein nächstes Video die Vorstellung von Bulkestate. Lass es mich wissen!